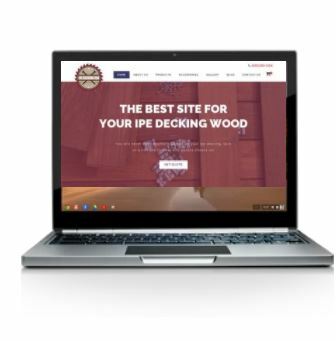 Home > Blog > Uncategorized > Launch of Ipe Decking USA Website! We are proud to announce the launch of ipedecking.net the Ipe Decking USA website. In an attempt to make a simpler way to purchase Ipe decking, Ipe Decking USA has developed this site for real simplicity. The site will provide education on Ipe, providing the best resource for anyone interested in anything from its origin to its use as the premier deck wood in the world. The idea behind the site is to provide an easy platform for people just looking for decking information. As a leader in the Ipe world, this division of Ipe Woods USA will provide a simple resource for consumers looking for decking.